Hey, Sewists! I am back to share my newest coat make and review. 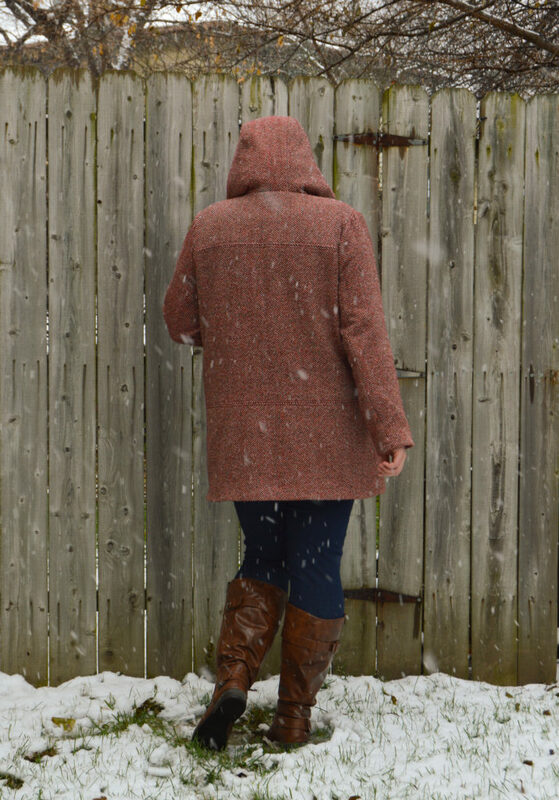 The pattern I used is the Grainline Studio Cascade Duffle Coat in the longer view B. 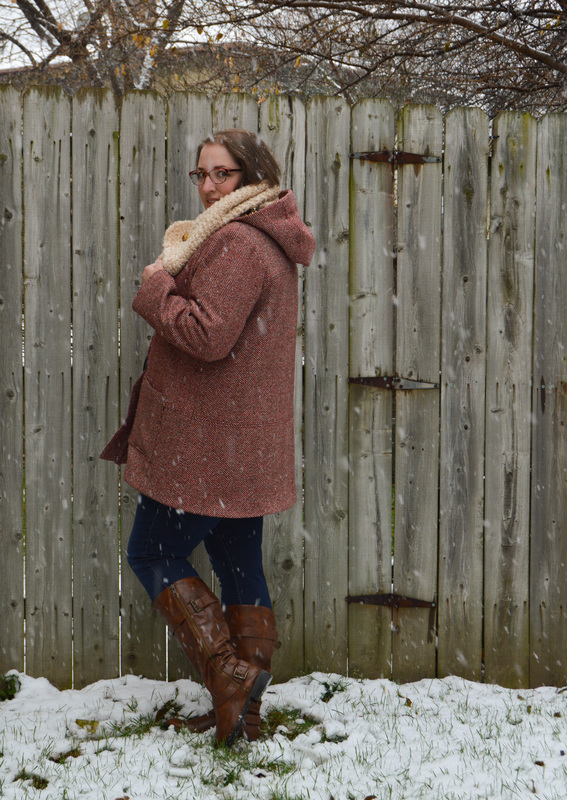 This coat has been a long time coming and is a part of my Smells Like Fall Spirit collection. I have been sharing bits on Instagram for the last few months and I can finally share the finished project! I bought pattern years ago and originally had intended to use a different wool for it. Then I picked up three yards of this red/black and cream/tan herringbone wool blend from Fabric Mart and knew that it was meant for this pattern. I had to let it sit in the stash for a couple of years though before I could muster the desire to cut into it. One of the most fun parts of this coat is the surprise print lining. This leopard poly charmeuse was originally intended for this coat only it was going to be with the olive green Melton wool I first bought. 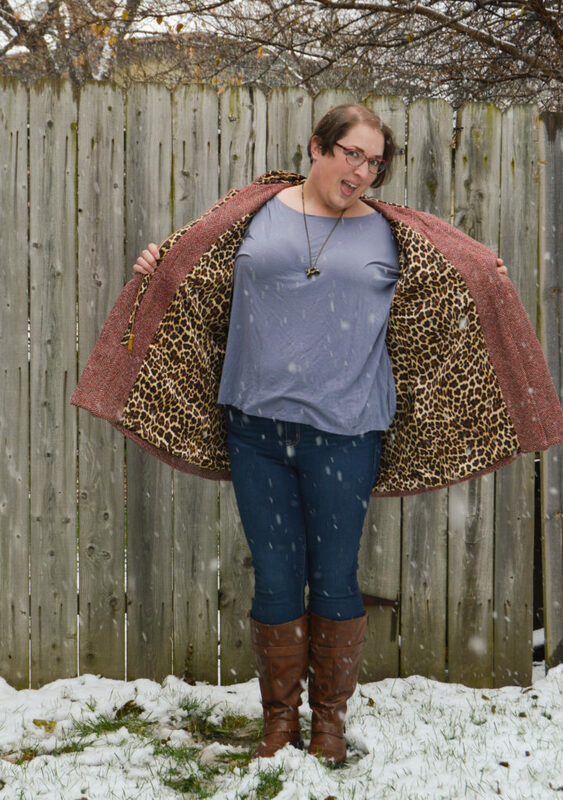 I decided that I really liked the crazy loud combination of the leopard and herringbone. The contrast of the two is so fun and definitely unique. I only made a few alterations to the pattern pieces after making the first muslin way back in January. First, I added an inch to each side seam and the underarm piece for a bit more ease. Second, I shortened the length by 3″ to make it hit me just above mid-thigh. I did also make a few additions that the pattern doesn’t call for. As is my standard, I did underline all my shell pieces with cotton flannel for added structure and warmth. I also added 1/2″ shoulder pads for more definition. Without them, the shoulders were just a bit too droopy. Lastly, I tacked the shell to the facings at several different spots in the sleeves, hood, and hem to prevent the lining from pulling away. 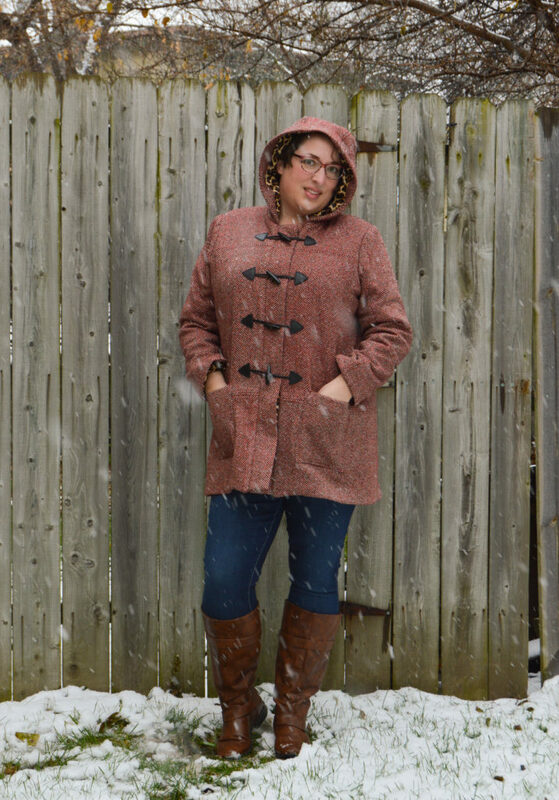 My favorite part of the coat is the olive green and gold vintage Talon zipper I used. It is a few inches shorter than the length called for, but I could not find a modern coat zipper with as much awesome vintage appeal as the Talon zip. Most modern zips that I found were plastic too. That just didn’t seem like it would hold up well in the long run and I didn’t want to have to replace it down the line. Plus, using the vintage zip was a little more sustainable than using a new zip I would have to go out and buy. I took my time with the other details on this coat too. The instructions called for topstitching on one side of the seam only. I opted to press my seams open and topstitch 1/4″ on each side of the seam. I did this for all the front and back panels as well as the shoulder seams. I think that topstitching both sides added a more professional look to the finished coat. The toggles I picked up were brand new and came with pre-punched holes. The pattern only called for three, but I added a fourth. 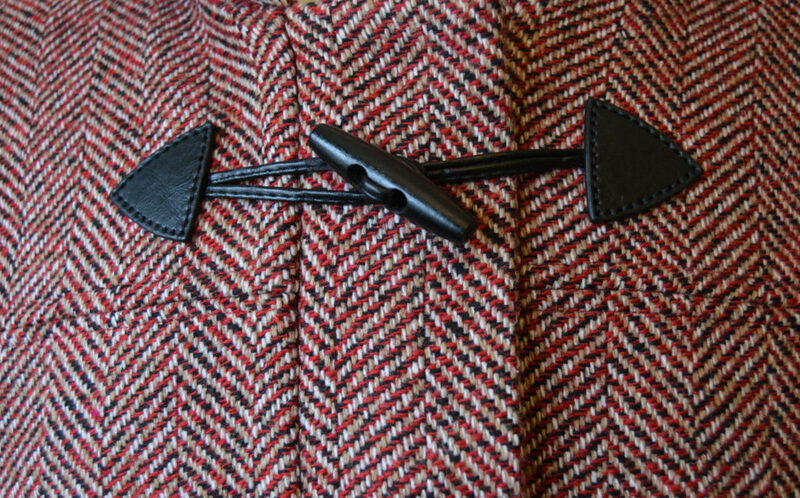 Each toggle was also handstitched down to ensure they were attached consistently. That is the one thing from when I made Eric’s coat that bothers me. Even though his were store bought, I machine stitched them down and you can tell. It is hard to machine stitch those perfectly. The pre-punched ones were a lifesaver and look so much better! I plan on stashing several more sets of these for future projects. In the end, I am so in love with this coat! I don’t know why I put off making it for so long. It was easy. Yes, there are a lot of steps because it is a much more involved project, but there is nothing super challenging. I fully recommend this pattern to any level of sewist who is wanting to make outerwear. 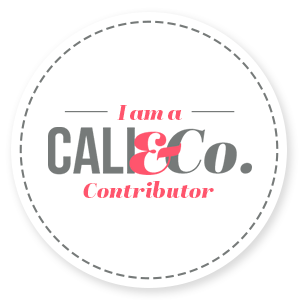 I did blog a bit about it over on the Sewcialists with a few starter sustainability tips for sewing. Go check it out! 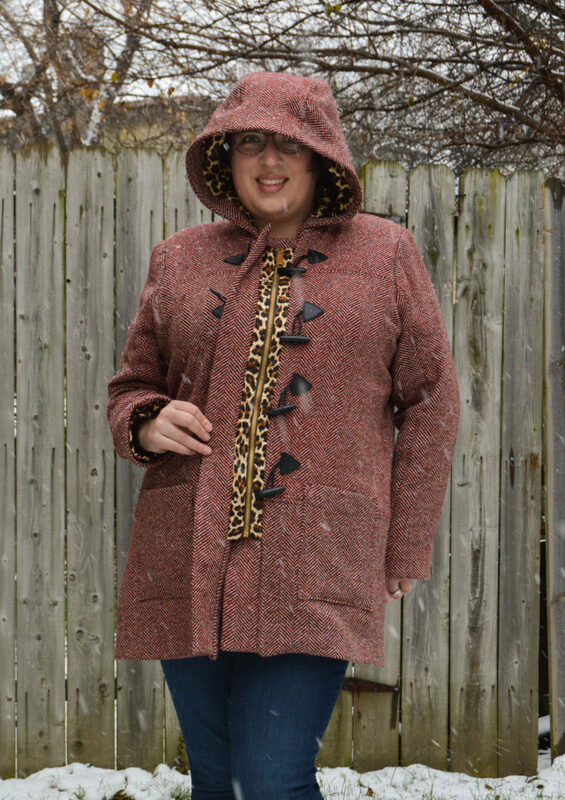 This entry was posted in Sewing and tagged Cascade Duffle Coat, Grainline Studio, leopard, smells like fall spirit collection, Stashbusting, sustainable sewing, wool. Bookmark the permalink.